Major storms seem to be an increasingly common fact of life in central PA. In spite of this, however, few contractors in the region have the experience and skilled staff necessary to properly restore damage caused by high winds. As part of the Tuckey group of companies, Tuckey Restoration, Inc. has decades of experience with commercial storm damage restoration in Harrisburg and throughout the region. We bring a diverse set of skills to every job we take on, performing not only the cleanup associated with heavy winds but also any plumbing, HVAC, electrical, mold remediation or other services required to return your property to pre-incident condition. Damage from a storm may be limited to minor repairs to windows or exterior components, or it can involve more extensive remediation due to flooding, electrical issues and more. At Tuckey Restoration, we begin each job by making a thorough assessment of the damage and developing a comprehensive plan for repairs. 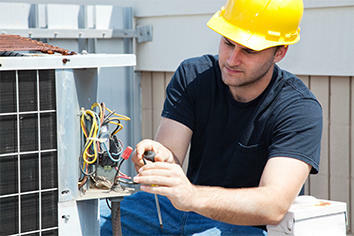 We’ll communicate directly with your insurer, handling all the billing and paperwork no matter which company covers you. Removing any damaged components inside and outside of your property, such as fencing, windows, roof shingles and more. Coordinating with your local electricity provider to facilitate electrical repairs caused by a downed utility pole. Identifying and repairing hail damage to exterior metal components. Repairing drywall, ceilings, carpeting and other interior fixtures damaged by flooding or moisture saturation. Mold remediation is an important part of many commercial storm damage restorations. 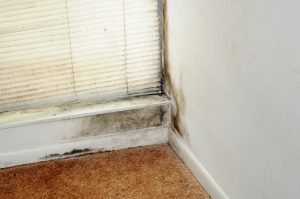 Any time a building is flooded, it creates ideal conditions for mold growth. Making sure this doesn’t happen is a key priority during cleanup, as mold not only weakens the structure of your building, it can also cause negative health effects for your staff and customers. The Tuckey Restoration team includes certified mold remediation experts who have received the specialized training necessary to contain the damage. We will remove and replace all contaminated materials to ensure your mold problem does not come back. If necessary, we will also recommend additional improvements you can make to better prepare your facilities for future storms. Based in Carlisle, the storm damage restoration team at Tuckey Restoration is ideally situated to respond to incidents anywhere in central PA. We maintain a number of industry partnerships and are members of professional organizations including Disaster Kleen-up International, the Restoration Industry Association, Crawford Contractor Connection and Associated Builders and Contractors. It’s easy to feel discouraged after watching a major storm cause damage to your business. It’s important to remember, however, that with the right partnerships, there are very few things too severe to repair. As a local business with roots in our area dating back to 1968, we know how important it is to minimize downtime when recovering from a storm. Let us help you get back on your feet quickly. 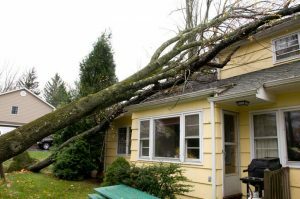 When you need storm or wind damage restoration services in Chambersburg, York or anywhere else in the region, one call to Tuckey Restoration is all it takes to get the process started. To contact a Carlisle, York, Chambersburg or Harrisburg commercial wind and storm damage restoration professional by phone, call (717) 249-7052. To make an online service inquiry, simply submit the convenient contact form and we’ll get back to you! "Every person you sent to do the job worked diligently. Thank you for your service."